Alpha Protocol blows its cover with fumbling espionage, clunky role-playing and loose, careless combat. Alpha Protocol, as it declares boldly on its box, is “The Espionage RPG.” I thought maybe the brain-dead soldier was a fluke, an uninformed flunky who was merely teasing me during my training. After all, espionage is about stealth and subterfuge. Surely things would be better as I moved from combat training into actual spy activities. But when I finally found my way to the covert heart of Alpha Protocol, I discovered that the espionage elements of the game are merely mini-games about picking locks and bypassing security systems. That left action and role-playing to save the day. Other recent RPGs — such as Mass Effect and Borderlands — have solid systems for building characters out of high-energy action. But in Alpha Protocol, the characterbuilding sticks to the old-school system of accumulating experience points and then spending them on the skills I select. So even if I spend hours gun-fighting with my foes, I can still turn around and improve my martial arts skills. It may have worked at the tabletop in Dungeons & Dragons, but that no longer seems adequate in the post-Oblivion era of the Xbox 360 and PS3. 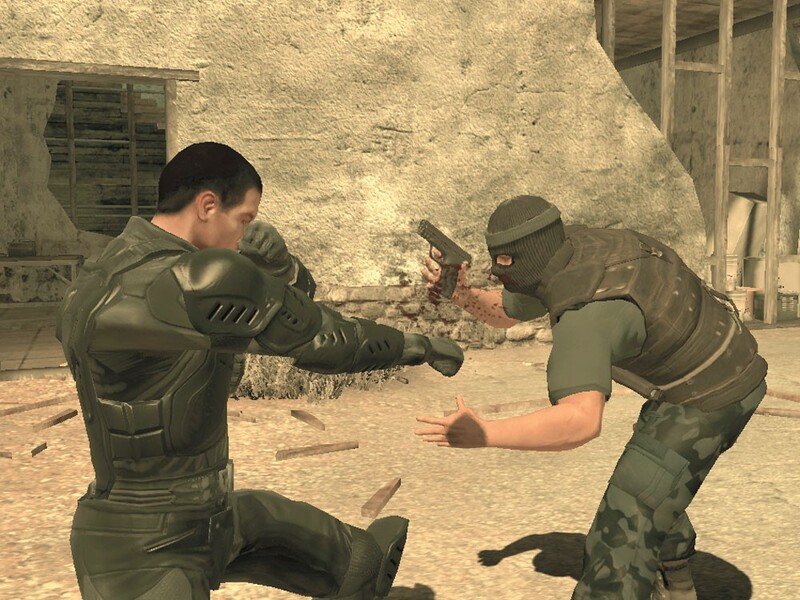 With its rinky-dink role-playing and insignificant espionage, Alpha Protocol could still be engaging if it featured some decent combat action. But the game’s 3-D engine and artificial intelligence aren’t up to the task. Not only do the soldiers not know how to fight, the hand-to-hand combat is as sloshy and overlapping as clothes in a washing machine. I’m glad that first soldier never caught me. If he had, I might have disappeared under a mess of indistinguishable, unblockable blows. On the other hand, if I hadn’t eventually caught up with him, we might still be circling that table. THE GOOD: Almost the only way for me to influence the direction of Alpha Protocol’s story comes from the relationships I develop during my conversations with other characters. But with skin textures that look like they were sampled from rashes and razor burns, I’m not sure these are the sorts of people I really want to have interpersonal relationships with. THE BAD: Alpha Protocol begins with a commercial airliner being shot down by a bearded, turbaned terrorist who later threatens to continue his attacks on “the West.” It’s a lazy, uninspired choice to duplicate issues and images that have already run their course through our television sets. By the time Alpha Protocol started talking about GOP lobbyists and campaign contributions, I felt like I couldn’t even escape into the real world. THE BOTTOM LINE: Alpha Protocol blows its cover with fumbling espionage, clunky role-playing and loose, careless combat.